My paintings evolve as I work, which is a creative joy. 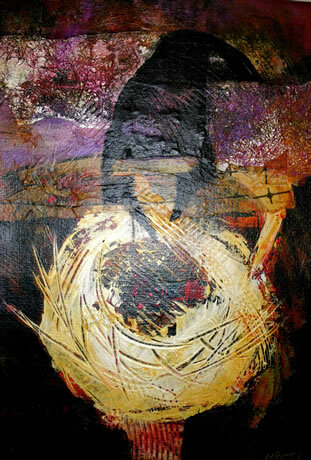 I create mixed media abstracts that usually contain some recognizable images. 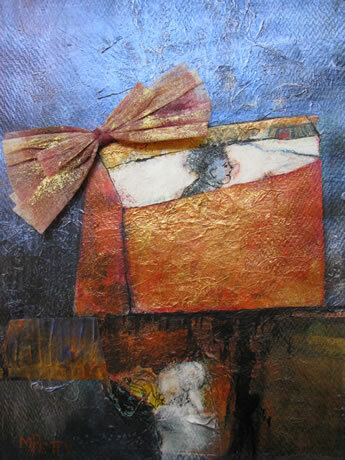 My materials include acrylic paints, colored pencils, graphite pencils, ink, charcoal, water-soluble crayons, hand-painted collage papers, found objects, hand-carved stamps, and fabric scraps. I paint on canvas, paper, and wood. I like to recycle and reuse lots of things, including my own paintings. I also take digital photos, and modify the images into abstract pieces on the computer. This can be as creative and fun as painting but with less cleanup. However, I do find that photos can be as time-consuming to work on as creating a painting. There’s often a bit of whimsy in my art. After I think a piece is finished, a happy accident or a different orientation can cause me to keep working. In the end, I am amazed at the stages my art has gone through. I exhibit in local area shows, including some juried shows, and have won a modest number of awards. My paintings and photos are in local private collections. 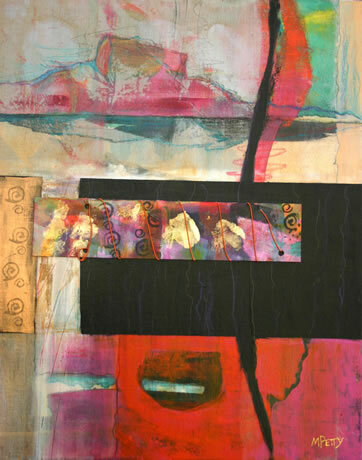 Title: Arch, mixed-media, 20x16 framed, $350. Click image to inquire with artist about this work. 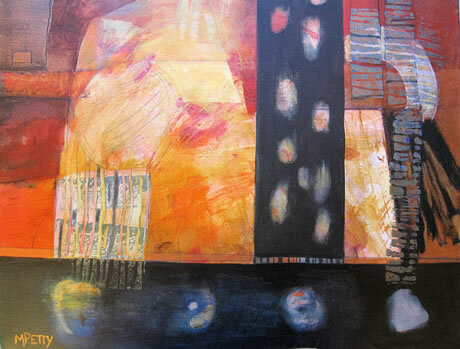 Title: Art Escape, mixed-media, 20x16 matted and framed, $300. Click image to inquire with artist about this work. Title: Beach Relics, mixed-media, 20x16 framed, $300. Click image to inquire with artist about this work. 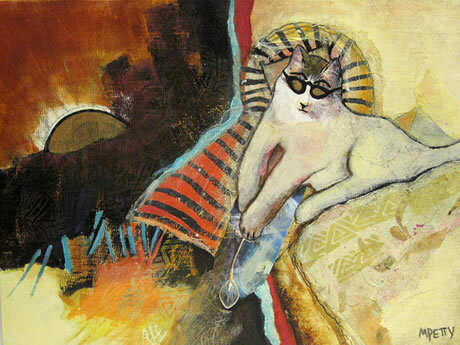 Title: Cat With Attitude, mixed-media, 18x24 matted and framed, $350. Click image to inquire with artist about this work. 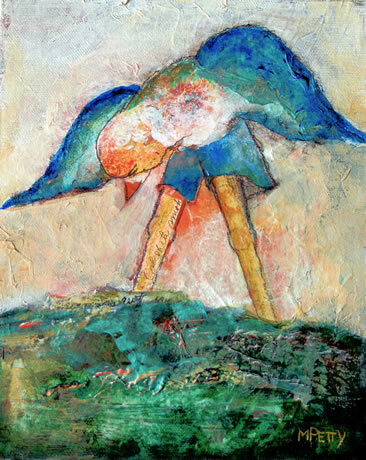 Title: Mr. Crow Waters His Garden, mixed-media, 24x20 matted and framed, $400. Click image to inquire with artist about this work. Title: Stuck In A Box On A Rainy Night, mixed-media, 16x20 matted and framed, $300. Click image to inquire with artist about this work. 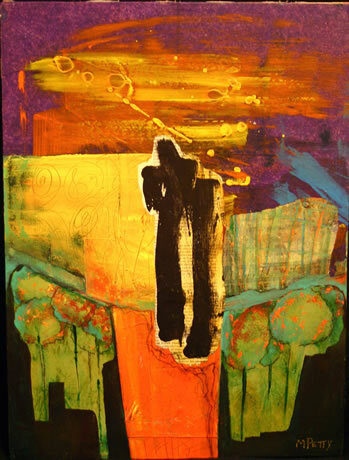 Title: The Sun Rises And Sets On Me, mixed-media, 20x16 matted and framed, $400. Click image to inquire with artist about this work. 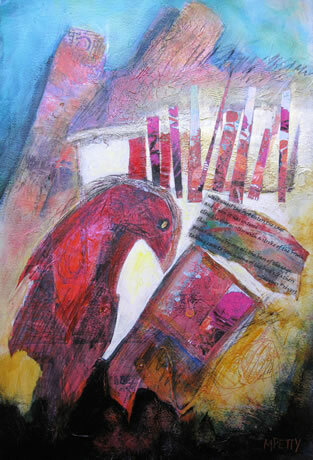 Title: To Paint The Portrait Of A Bird, mixed-media, 22x28 matted and framed, $400. Click image to inquire with artist about this work. 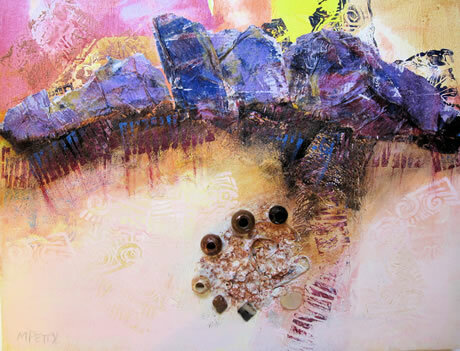 Title: Water Moves Around Me, mixed-media, 19x25 framed, sold. 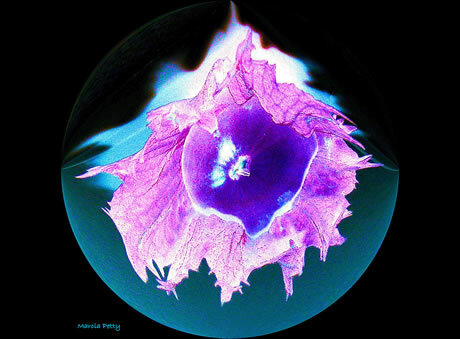 Click image to inquire with artist about their art or to discuss commissioned work. 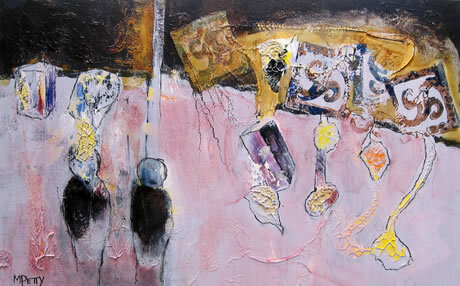 Title: A Walk in the Park, mixed-media, sold. 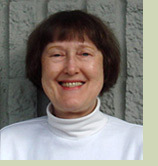 Click image to inquire with artist about their art or to discuss commissioned work. 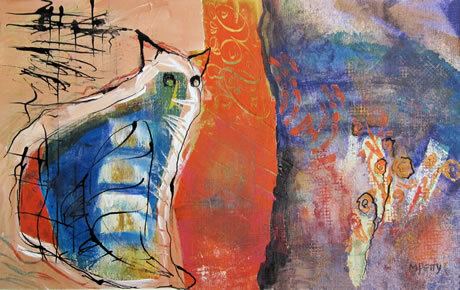 Title: Bird Boy, mixed-media, sold. Click image to inquire with artist about their art or to discuss commissioned work. Title: Birdwatcher 2, altered photograph. Click image to inquire with artist about this work. 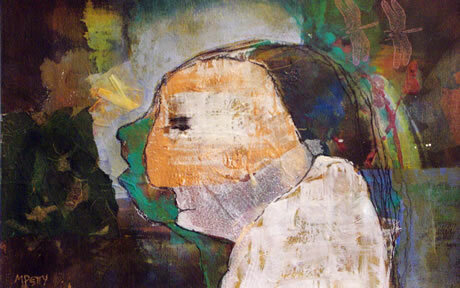 Title: Born to be Wild, mixed-media. Click image to inquire with artist about this work. 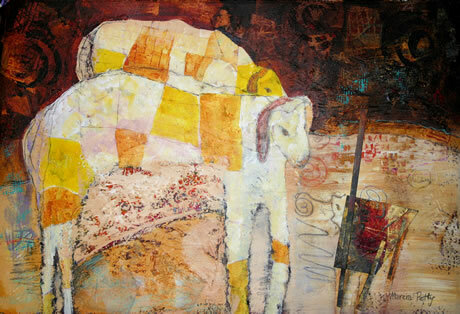 Title: Buffalo Gals, Won't You Come Out Tonight, mixed-media. Click image to inquire with artist about this work. 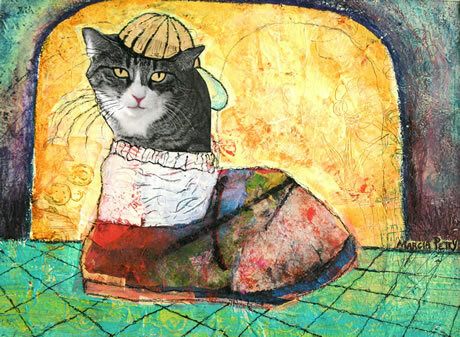 Title: Cat in the Window, mixed-media, sold. 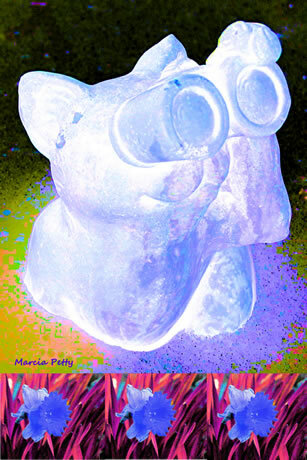 Click image to inquire with artist about their art or to discuss commissioned work. 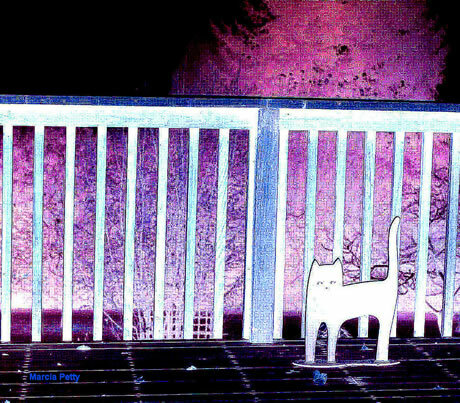 Title: Cat On the Deck, altered photograph. Click image to inquire with artist about this work. 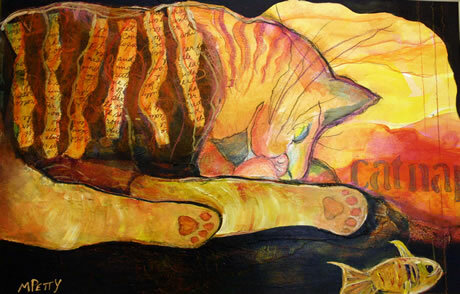 Title: Catnap, mixed-media. Click image to inquire with artist about this work. 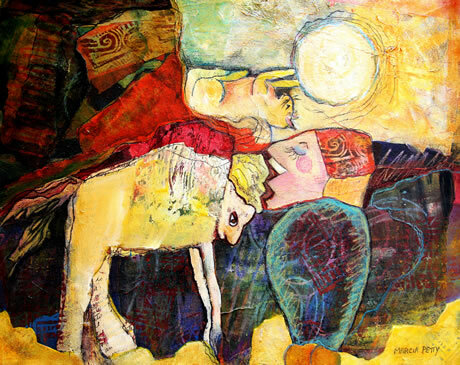 Title: Cave Goats, mixed-media. Click image to inquire with artist about this work. Title: Empty Nest, mixed-media. Click image to inquire with artist about this work. 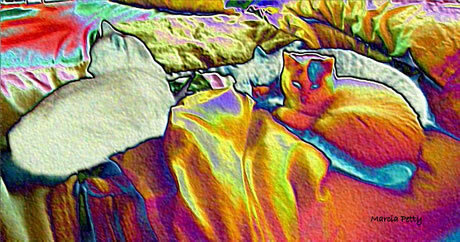 Title: Filbert, altered photograph. Click image to inquire with artist about this work. 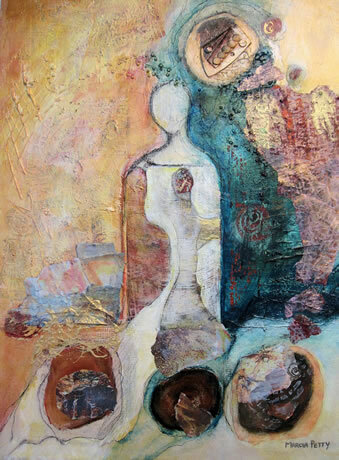 Title: Generations, mixed-media, sold. Click image to inquire with artist about their art or to discuss commissioned work. 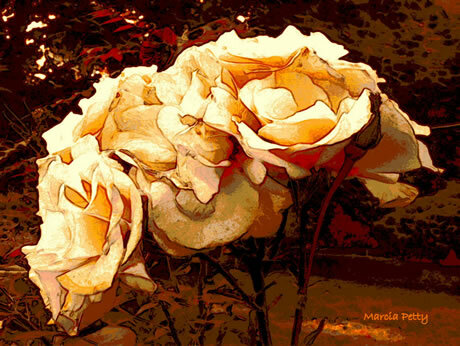 Title: Hot Summer Roses, altered photograph. Click image to inquire with artist about this work. 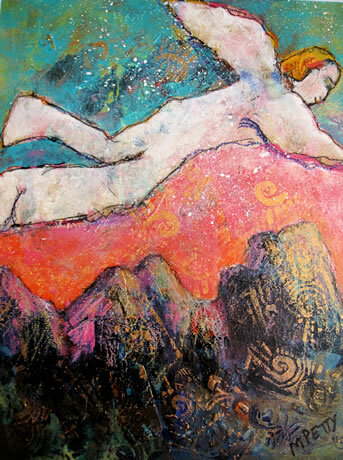 Title: Icarus at Sunset, mixed-media. Click image to inquire with artist about this work. 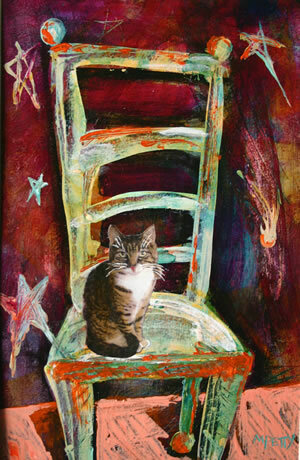 Title: Kitchen Cat, mixed-media, sold. Click image to inquire with artist about their art or to discuss commissioned work. 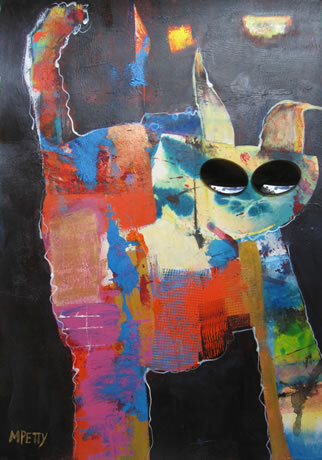 Title: Rabbit, mixed-media. Click image to inquire with artist about this work. 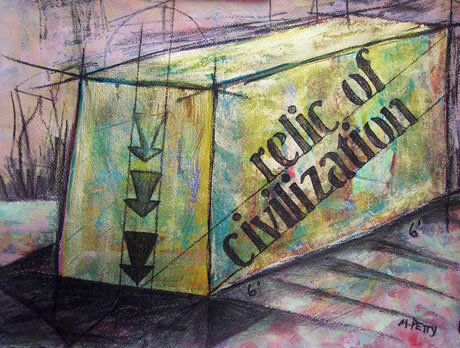 Title: Relic of Civilization, mixed-media, sold. Click image to inquire with artist about their art or to discuss commissioned work. Title: Shards of Peace, mixed-media. Click image to inquire with artist about this work. 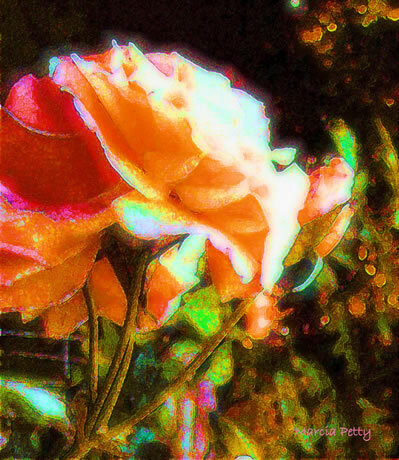 Title: Summer Rose 1, altered photograph. Click image to inquire with artist about this work. 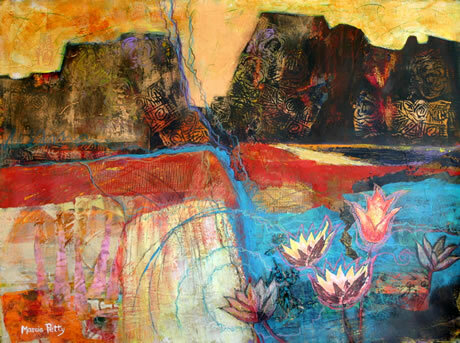 Title: The Great Southwest, mixed-media, sold. Click image to inquire with artist about their art or to discuss commissioned work. 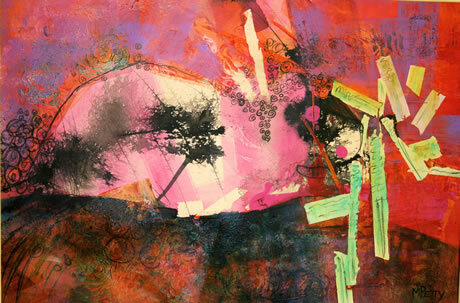 Title: Tropical Sunset, mixed-media, sold. 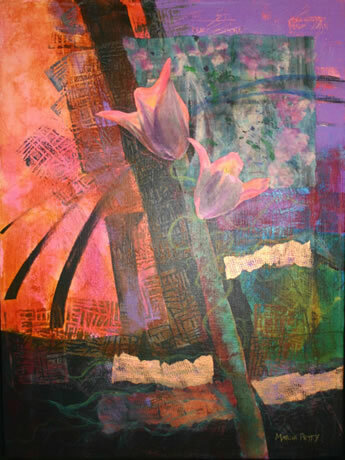 Click image to inquire with artist about their art or to discuss commissioned work. Title: Unmade Bed, altered photograph. Click image to inquire with artist about this work. 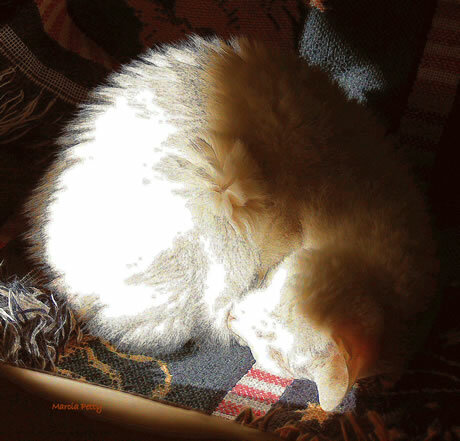 Title: Snowy's Nap, altered photograph. Click image to inquire with artist about this work. Title: Water Rights, mixed-media. Click image to inquire with artist about this work. 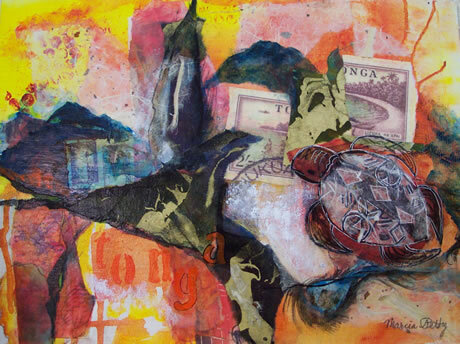 Title: Tonga, mixed-media. Click image to inquire with artist about this work.